← Hide & Go Chic nail polish review and swatch! ..And some other things! Hey guys. So, I know I said I was on a “no buy” but when you’re using coupons to “buy” your items, that’s okay. Right? Read on to see how I saved $80 on beauty products this afternoon!! I feel like I’m stealing every time I walk out of CVS with a bag of goodies in my head. Here is the deal I ran this afternoon. 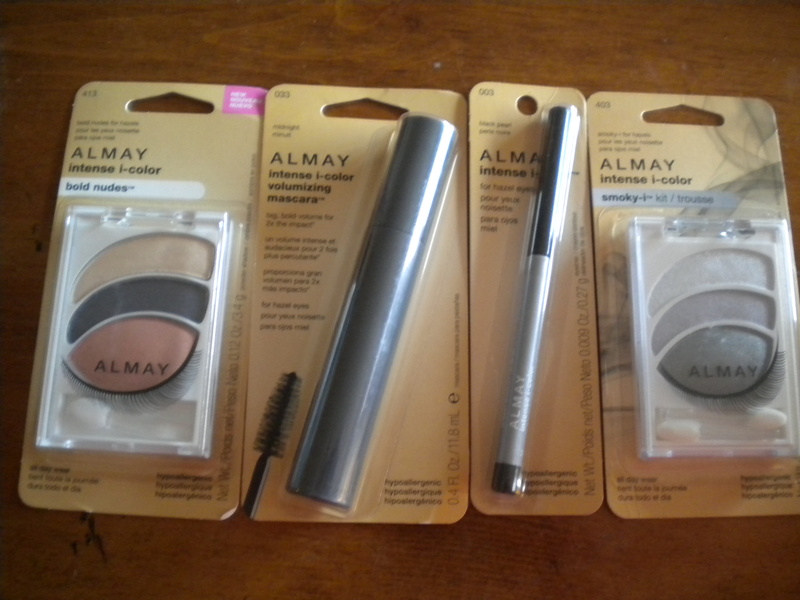 Almay intense i-color for hazels: smoky-i kit, bold nudes, midnight mascara and black pearl liner. I was super crazy excited about this deal, guys. Seriously. You never have to pay full price for these products. Which, by the way, are ridiculous. These retail between $7 – $9 each. Are they crazy!? Me? I pay less than $0.50 for one! CVS was running a “Buy 2 Almay beauty products and get $6 Extra Care Bucks” deal. There has been a $5/2 Almay product coupon floating around. I had two coupons and used them both on these purchases. After coupons and ECB’s it comes to $0.49 per product. Yeah! This would have been $32 without sale or coupon! We also went to Target for a few choice things. We ran a deal on Starbucks coffee which I never took a picture of since I wanted this post to be about how to coupon your makeup. This retails for $79.99 and it was found on clearance for $39.99. Guess what? My boyfriend is the one that found it! I was browsing the aisles of the beauty department when he comes over with something behind his back. He said “I’ve got something you’re going to want to buy” I thought.. what could he possibly think I’m going to want in the beauty department at Target? Then he whips this beauty from behind his back. I actually had a dream a few weeks ago that he bought me this kit but he forgot to get the lamp so.. it was pretty worthless. I am so, so, so excited to try this. I’m going to look up a few reviews but I’m fairly certain I’m going to keep this based on the sole purpose that Shannon at NoShannonigans uses it and her nails always look fabulous! This retails for $5.99 and I got it for $2.98. 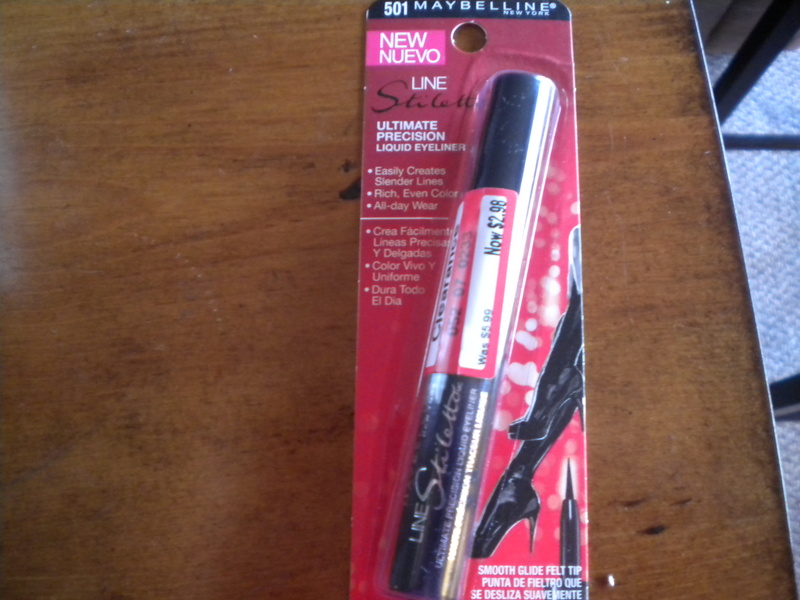 I just purchased a new black liner from NYX but so far I really like this brand. I bought another one on clearance a few weeks ago so I figured, why not? Can’t ever have too much liner on hand! I won’t include a photo of this but I finally got my ELF Studio brushes in the mail that I haven’t even cracked into yet. I will most likely do that after this post. So, there you have it. You can still save money and be a makeup hoarder. I’m doing it! Haha. Overall, today has rocked. I’m healthy. I’m in love. Life is good. We’ve got our St. Patty’s day meal going today since my boyfriend has work on Monday. So, to end this post. Happy St. Patty’s Day! Stay healthy, stay happy and please do not forget to smile!